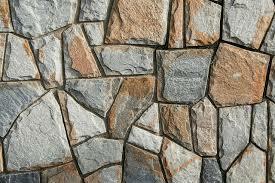 Stone is a natural material of construction and is obtained from quarries. Since prehistoric days it has been used for constructing different components of buildings like foundations, walls, lintels, floors, roof etc. It has also been used for constructing bridges, wires, dams etc. Stones that are used for construction of structures are known as building stones. Most of the ancient temples and forts of India were built with stones. The Taj and the Victoria Memorial (Calcutta) were built in white marble had from Rajasthan. Red Fort and Jama Maszid (Delhi) were built with red sand stone from Agra. Parliament House, Rashtrapati Bhawan and the Central Secretariat (Delhi) were built with red and grey sand stones from Rajasthan. (i) Important buildings these days are being constructed of steel or RCC, because of their being less bulky, stronger and more durable. (ii) Strength of structures made of stones cannot be so rationally analysed as of those made with steel and RCC. (iii) Suitable, durable and more easily workable alternative materials are now available. (iv) Cast stone, sand faced rusticated bricks, furnace ware etc., can be given archietectural treatment more easily and have therefore overshadowed the use of stones. (v) Stones are not cheaply and conveniently available in the plains. (vi) *Dressing of stones is time-consuming and results in slow pace of construction. (i) As stones ballast (broken stone) for railway track; for road construction ; for preparing cement concrete required for foundations, flooring, hollow and solid blocks, artificial stones and reinforced cement concrete. (ii) As crushed stone (stone dust) is used as a substitute for sand. (iii) As blocks in the construction of buildings; lintels; arches; walls; columns; abutments and piers of bridges; in weirs and in dams etc., etc. (iv) As blocks and slabs for face work of buildings requiring architectural treatment. (v) As thin slabs for roofing and for flooring buildings and pavements. (vi) As lime stone, it is used in the manufacture of lime, cement and in various other chemical processes. (vii) Thin slabs of impervious stones are used for laying Damp proof Courses in buildings.